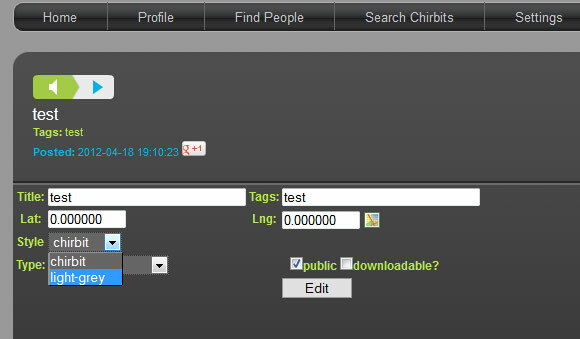 A Chirbit user recently asked how to embed a chirbit he created onto his blogger.com site. I didn't have an online tutorial so I emailed him details. I put this post together to answer the question for anyone else who might need help embedding an audio clip. I will start posting more of these tutorials soon. 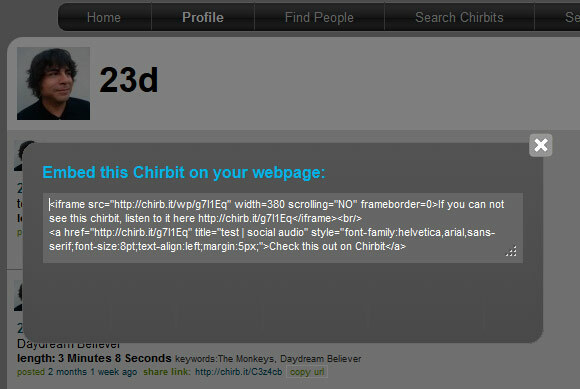 Once you have uploaded or recorded your audio on chirbit you can hover over your post to view the action icons for your post. 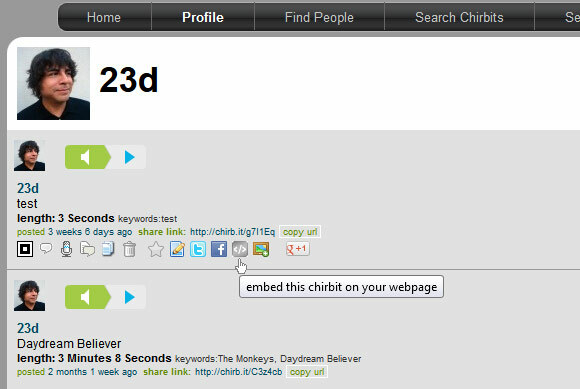 The icon shown below is the "embed this chirbit on your webpage" icon. This is what to click to get the embed code. When you've clicked the embed code icon you will get this popup window with the code you need to copy in your blogger post. 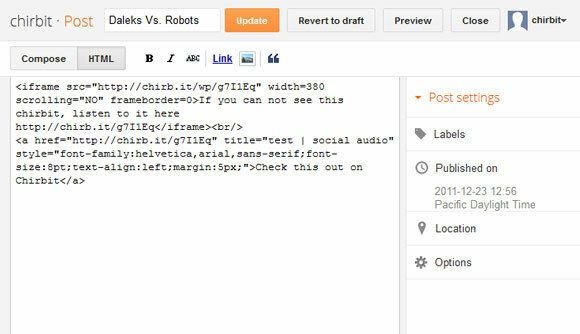 Copy the code into the HTML editor for your post. This is what it should look like on your site! 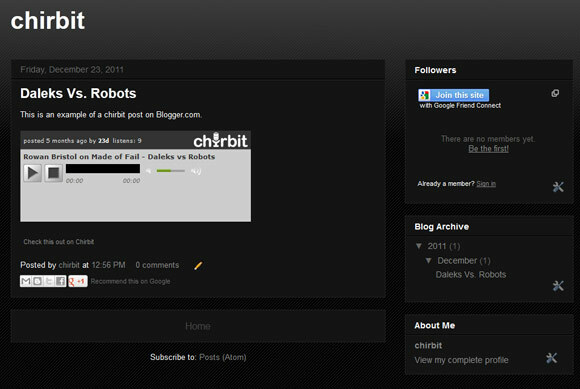 If you want to change the color of your embedded chirbit You can switch the style on the settings for your post. There are currently two styles you can change to, but If you have a color combination suggestion email me and i'll see about adding it.